WARNING: Risk of electric shock. This pump is supplied with a grounding conductor and a grounding-type attachment plug. 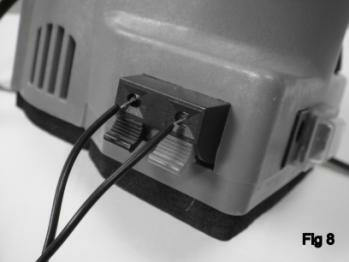 To reduce the risk of electric shock, be certain that it is connected only to a properly grounded grounding-type receptacle. too much torque could damage or break the pump head. slow it down or burn up the pump. * The Chilipepper IS NOT waterproof. Dry off the unit as soon as possible if it gets wet. 2. Open the faucet to relieve any system pressure. 3. 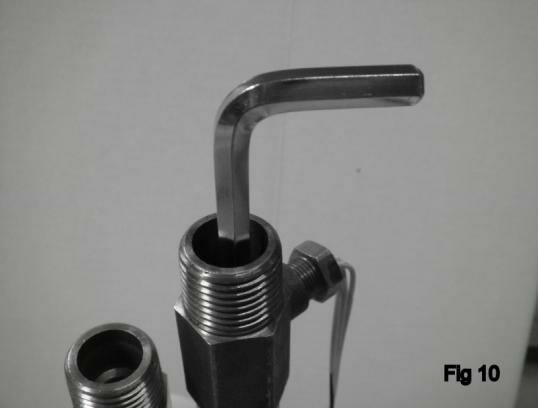 Disconnect the existing hoses from both shut-off valves. the floor of the cabinet. 8. Now prime the pump before plugging into the outlet. make sure to turn it ON. A. Turn ON the HOT water supply valve UNDER THE SINK FIRST. B. Then Turn the COLD water ON at the SINK FIXTURE NEXT and let the water run thru the Chilipepper. C. This will bleed the air out of the lines and the Chilipepper. D. Finally turn the COLD water supply valve ON under the sink. An old plumber’s trick is to place a clean newspaper under the connection after the installation. If there’s a leak it will be easy to find. push connectors on the Chilipepper. (Fig 8) Push the button into the cabinet hole. Do not use illuminated buttons for they will turn the Chilipepper on continuously. can damage the pump and void the warranty. slit in the foam cover for the hoses and wires and place on top of the plastic container. The foam cover will help quiet the Chilipepper. to make sure there is no water inside. On the side of the Chilipepper there is a round opening (Fig 9), inside the opening is a Sensitivity adjustment. The adjustment can be done with the Temperature adjusting screw driver or a small flat-head screw driver. but the warm water will be removed when the faucet is used. Turning the Sensitivity counter-clockwise reduces the distance the hot water travels. the pump will jog 1 time and not turn on. Note: There is some leakage possible through the Chilipepper pump from hot to cold. installed, to isolate the hot and cold water lines during plumbing repairs. 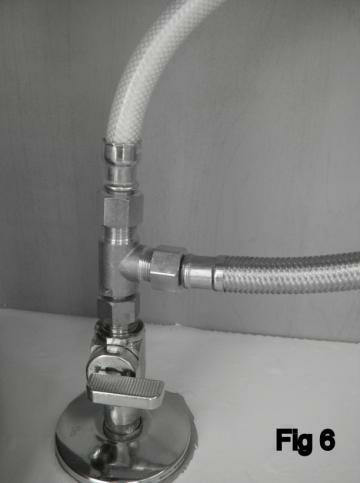 Make sure that both shut off valves under the sink are fully turned on. button to make sure they are not touching. 2. Also make sure the button or buttons being used are non-lighted. the pump will cycle 2 short bursts, 1/4 second each, every 15 seconds until the problem is resolved. Hot water is in my cold line when the Chilipepper has not been operating. 1. The Chilipepper is much higher than the water heater. 2. There is an exterior hose bib or sprinkler line very close to where the Chilipepper is installed. 3. The spring check valve is dirty. 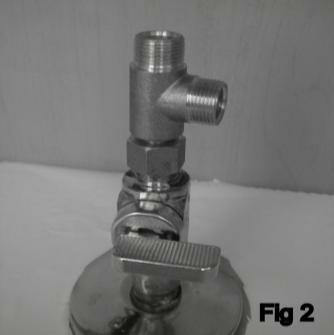 water pressure to open the check valve. To Correct #3 the check valve needs to be cleaned. How to clean the spring loaded check valve. pulling on the white connector and wiggling it side to side at the same time.